On 21 August 2017 UNESCO Almaty Cluster Office is organizing a working group meeting of experts on landslides research and risk reduction in Central Asia, taking place in Almaty, Kazakhstan. The number of landslide disasters in Central Asia (CA) has grown in the past few decades. According to the available projections of climate change in the region, landslides will become more widespread, owing to the increasing prevalence of extreme rainfall events and more rapid melting of glaciers. However, available analyses do not suffice to precisely locate these hazards. Landslide monitoring and research has declined in Central Asian region since the CA countries got their independence in early 1990s. The available hazard analysis of landslides in Central Asia is outdated and in need of increased support. The need is particularly acute, given the increased anthropogenic pressures and likely impact of climate change. Today urgent and serious attention is needed for initiating landslide research and risk reduction in Central Asia in a regional perspective. 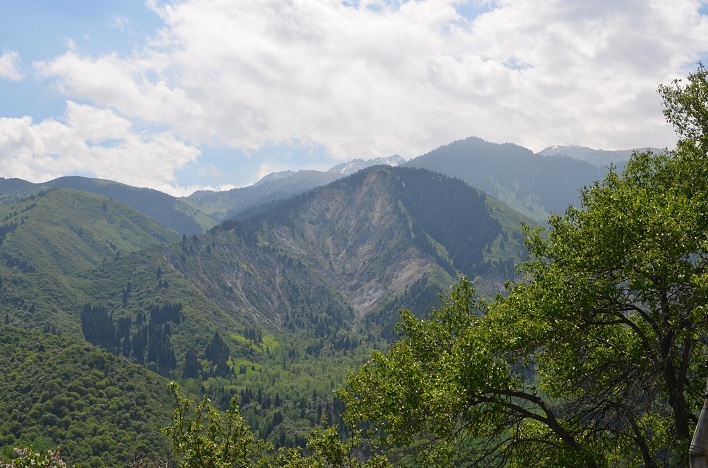 In order to share experiences on landslide research initiatives and improve knowledge and understanding of landslide risks on both national and regional scales, UNESCO Almaty took the initiative to organize a working group meeting of experts in this field. The participants of the workshop will include officials of geology departments, representatives of the Ministries and Committees for Emergency Situations, practitioners from the scientific community in the Central Asian countries, key experts from outside the region, including UNESCO Paris, Russia and Japan, who will showcase international experience and good practices in landslide research and risk reduction. During the meeting, representatives from Kazakhstan, Kyrgyz Republic, Tajikistan and Uzbekistan will present each of the country’s statuses on landslide research and ongoing reduction and mitigation initiatives, and discuss the needs and challenges that they face. The meeting will initiate and provide an opportunity to promote collaboration among scientists and to develop recommendations for regional initiative under the auspices of UNESCO.